It can be hard to get someone’s attention through email when everyone’s inbox is crowded with junk. 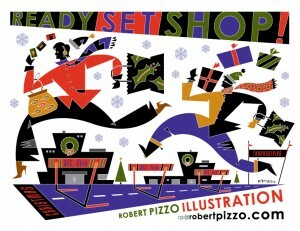 But illustrator Robert Pizzo knows how to get the attention of potential clients. 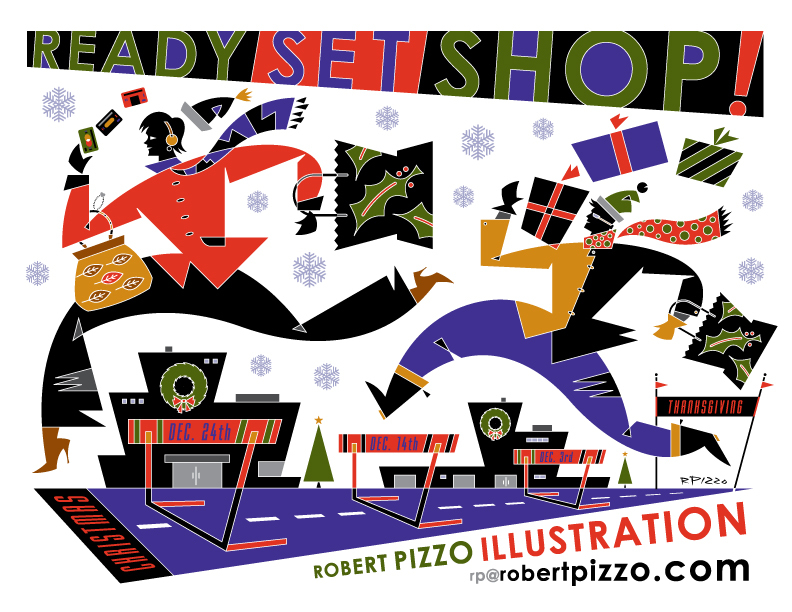 He sends a unique illustration for holidays and other events that serve as examples of his talent as well as a way to stay at the top of potential clients’ minds. He’s surprised that more designers and small businesses in general don’t market themselves better through email. “You’ve got to stay visible in the minds of clients and potential clients,” Pizzo explains. He finds email to be a flexible medium that he can adapt to the times, where direct mail tended to be stagnant and unchangeable once you approve a campaign. Pizzo’s emails aren’t designed to make a big push toward a sale. He simply enjoys sending creative means of expression. If someone wants to buy, so much the better. He’s created email campaigns around Mother’s Day, Father’s Day, School’s Out, School’s In, Flag Day, Mid-Summer, Beware August, and Halloween Pumpkin Pie Recipes. He finds that by providing visually stimulating illustration, he gets people’s attention better than pushing for a sale. He says you should always ask for permission when emailing new people, and keep the content simple with no more than one image per email.